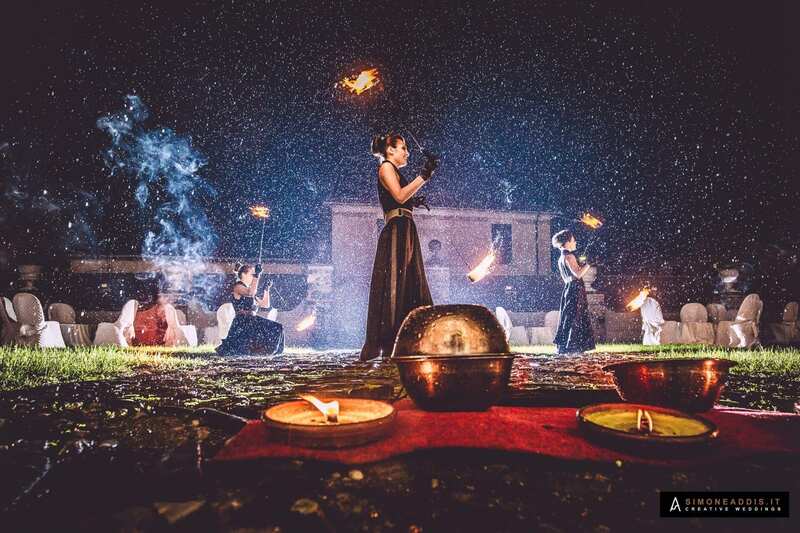 In the magnificent setting of the Castello di Pallerone in Aulla, on 10 November 2018 was held Dream Wedding, the Gala Dinner organized by Priscilla Banqueting and the Wedding Designer Glenda Marradi, with whom we have been collaborating for many years creating incredible fire shows and light shows for weddings in Tuscany and in Liguria. It was an event of great media impact that saw the gathering of great wedding professionals in Tuscany and Liguria as the Photographer Simone Addis, the Bianchini Sposi atelier, the great cuisine of Priscilla Banqueting, the determination of Glenda Marradi with her staff of “The Perfect Day” and we Lumen Invoco. Numerous couples were invited to the event and during the 2019 season they will celebrate their wedding. The bride and groom have had the opportunity to taste a dinner of the highest quality accompanied by live music of Caffè Degli Artisti, parades of wedding dresses and especially from our show. 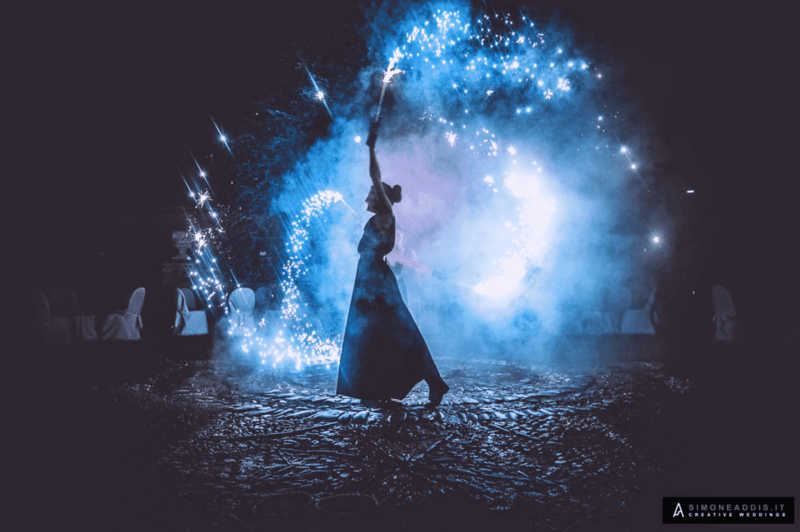 Our fire shows and light shows are perfect to make a wedding even more special. And in order to show our art to future prospective guests of Dream Wedding, we accepted Glenda’s invitation and decided to take part in this important evening.erata. For the occasion we have chosen to present two shows. 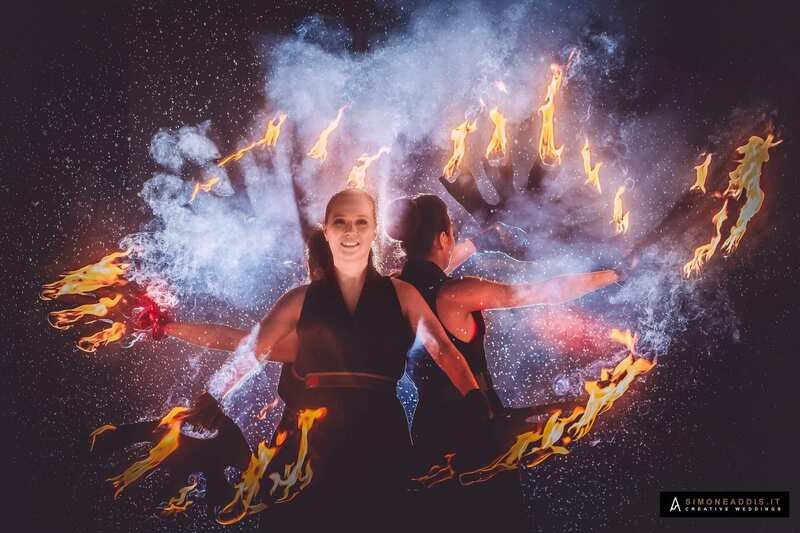 During the tasting of the welcome cocktail we made our fire show accompanied by incredibly evocative and romantic music. 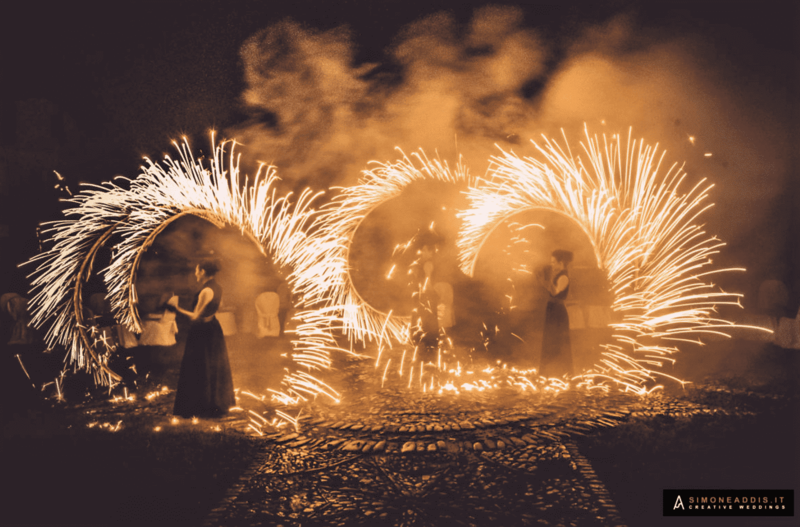 An explosive pyrotechnic finale closed the show, leaving guests speechless. At the time of cutting the cake instead we presented our LED show with themed images like hearts and colors perfectly in line with the mood of the evening and the rhythm of the music. The young couples were enchanted and incredibly fascinated by our show and the entire evening.